Rakuten (Buy.com) (Zoro) has a 96 Duracell Procell AAA Battery Sale. 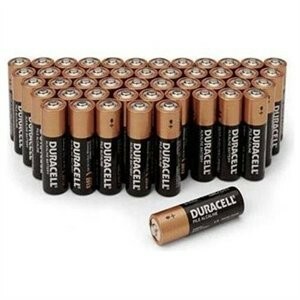 Add 4 packs of 24 AAA Batteries to your Shopping Cart. We need to pass $25 to get Free Shipping. Pass $30 so you qualify for $10 off Visa Checkout Coupon. Alternately you can mix and match AAA, D Size, and C Size battery packs. AA sold out. Final Cost = $7.65 x 4 = $30.60 - $10 off Visa Checkout code: VC10 = $20.60. Free Shipping.